At the end of January, the EPA’s efforts to regulate ozone and fine particle were again frustrated, this time by the U.S. Court of Appeals for the D.C. Circuit’s decision not to reconsider its August 2012 remand of the Cross-State Air Pollution Rule (CSAPR). This is just the latest in a series of setbacks for the EPA in its attempt to achieve the National Ambient Air Quality Standards (NAAQS) established under Clean Air Act (CAA) authority. It’s worth looking at how we got here before later considering potential next steps. In 2005, the EPA issued the Clean Air Interstate Rule (CAIR) with the goal of reducing the amount of power plant emissions – originating in 27 eastern states – that drifted across state lines, specifically sulfur dioxide and nitrogen oxides. In 2008 however, that rule was first vacated and then remanded, with the U.S. Court of Appeals for the D.C. Circuit instructing the EPA to produce a replacement rule. In response, the EPA proposed CSAPR in 2010 and finalized the rule in 2011, with a scheduled implementation date of January 1, 2012. CSAPR require twenty-seven eastern states to power plant emissions that contribute to ground level ozone and fine particle pollution across state lines. CAIR’s cap and trade system, which the U.S. Court of Appeals found to lack reasonable measures to ensure the abatement of unlawful emissions, remains in place until the EPA is able to produce a revised CSAPR rule. Whereas CAIR was remanded for not doing enough to protect public health, CSAPR was ruled to be an overreach. In its August 2012 ruling, the Court of Appeals held that the EPA had gone beyond its statutory powers on two separate grounds. First, the court found that under CSAPR the EPA overstepped its jurisdiction in requiring states to reduce emissions beyond the level of pollution actual impacting neighboring states. 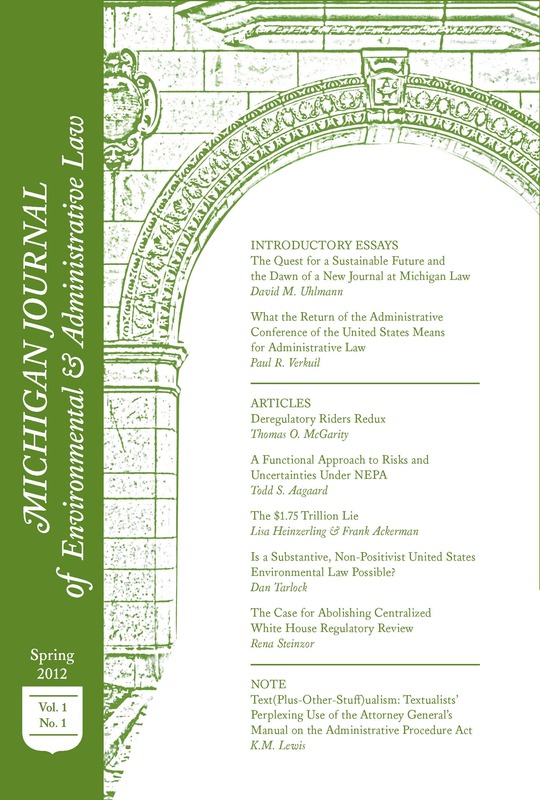 The CAA enables the EPA to require a state to reduce its emissions that drift across state boundaries, but in remanding CAIR in 2008, the Court of Appeals specifically held that the EPA’s CAA authority could not be used to require larger reductions. CSAPR was written in such a way that a state’s required contributions could be based on regional projections rather than on the amount produced by the individual state. The court also faulted CSAPR for circumventing a state’s authority to develop its own emission reduction plan. The EPA now must decide whether to appeal the remand, and, more importantly, whether CSAPR is or ever was the correct approach. The EPA is still under court order to strengthen and replace CAIR, but the EPA has other alternatives to achieve its statutory goals. Other EPA rules, such as the one on Mercury and Air Toxics, will help to decrease many of the pollutants targeted by CSAPR and CAIR. Additionally, CSAPR was structured in such a way that reductions would be required based on cost rather than on a state’s production, which was a significant departure from CAIR’s model and led to the remand of the rule. Unfortunately, under current law the EPA is limited in its ability to require sufficient reductions when applying a cross-state rule such as CSAPR. The federal implementation plans (FIPs) that CSAPR would have implemented to structure each regulated state’s emissions reduction are another subject that the EPA will have to evaluate. The Appeals Court held that instead the EPA should first defer to states and allow each to develop its own plan to reach the EPA-mandated goals. As a result, the EPA must find a way to both provide the necessary latitude for states to implement their own plans while also holding them accountable enough to avoid the same issues of lax enforcement plaguing CAIR. How the EPA decides to satisfy its duties will be a critical question for the agency as it continues to actively engage the issues of public health and pollution. Jeff Jay is a General Member of MJEAL. He can be reached at jefjay@umich.edu.